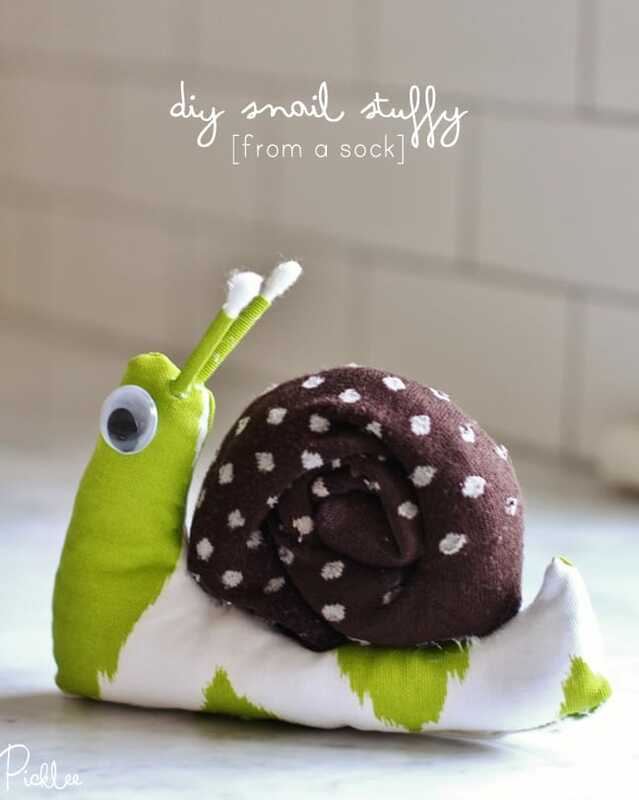 Create your DIY sock snail’s shell by stuffing an old sock with cotton stuffing. 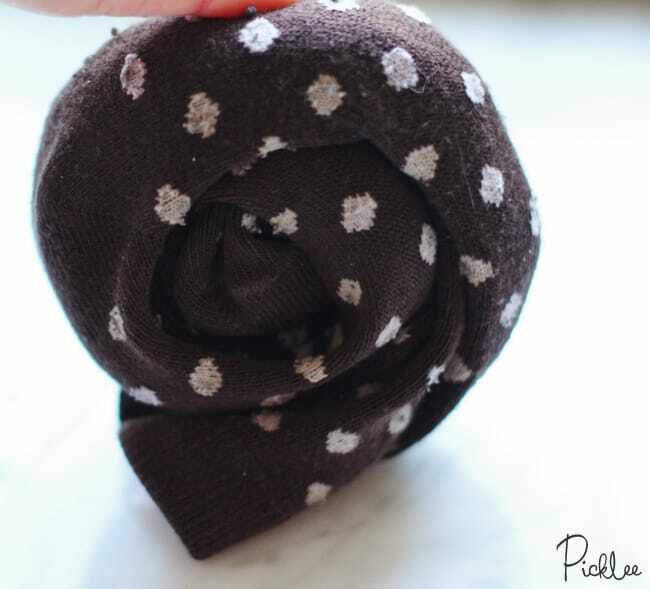 Don’t overfill the sock, because you’ll need to be able to roll the sock into the “shell”. 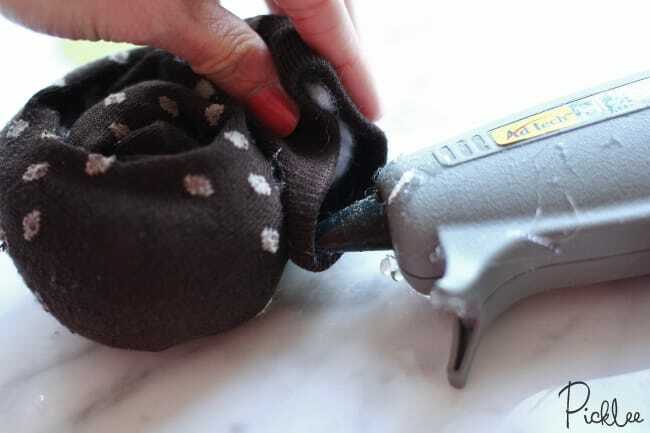 Use your hot glue gun to secure close off the sock’s opening and secure it in place. Now you can set your snail’s shell aside while you make the body. 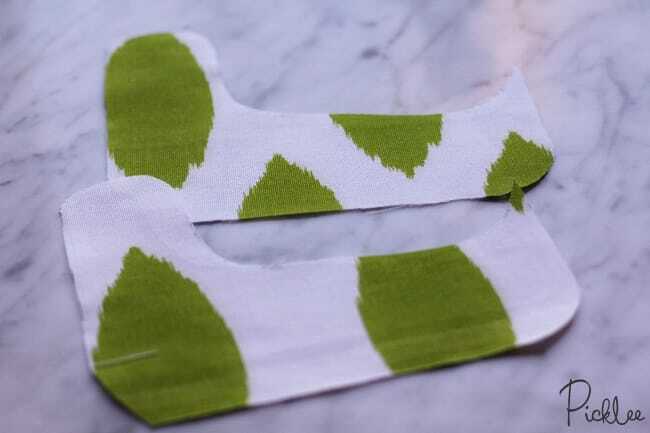 Cut a long, curved shape out of your fabric, make sure you leave enough to cut another identical piece. 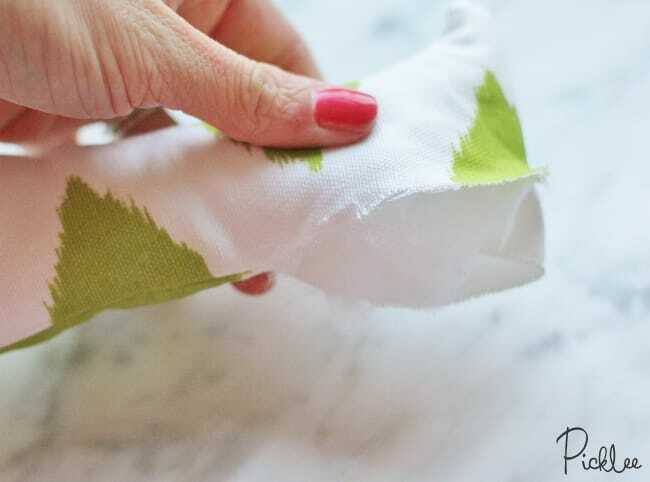 You will need to cut two pieces so you can sew them together with the “good” side of the fabric facing in. 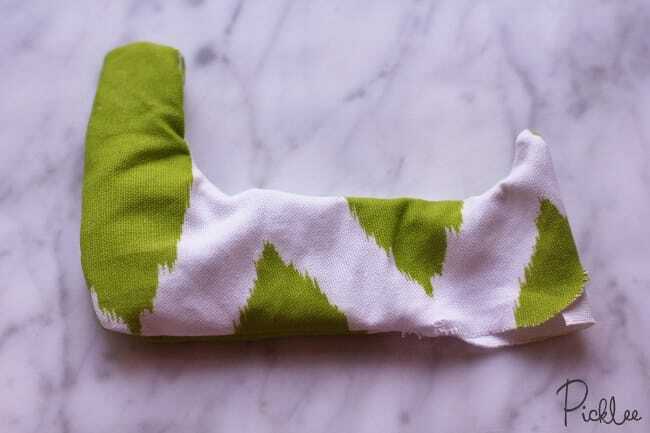 Use your sewing machine, or stitch by hand (much longer) to attach both pieces of fabric together. 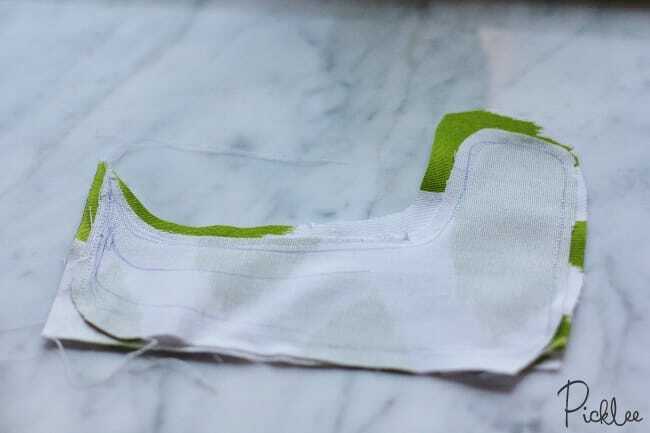 Make sure to keep both pieces of fabric with the “good” side facing inward while you stitch. Leave a small opening so that you can flip the snail’s body right-side-out before filling it with stuffing. Flip the snail’s body right-side-out and fill with stuffing. Stitch up the open hole. Now its time to make the snail’s antlers! 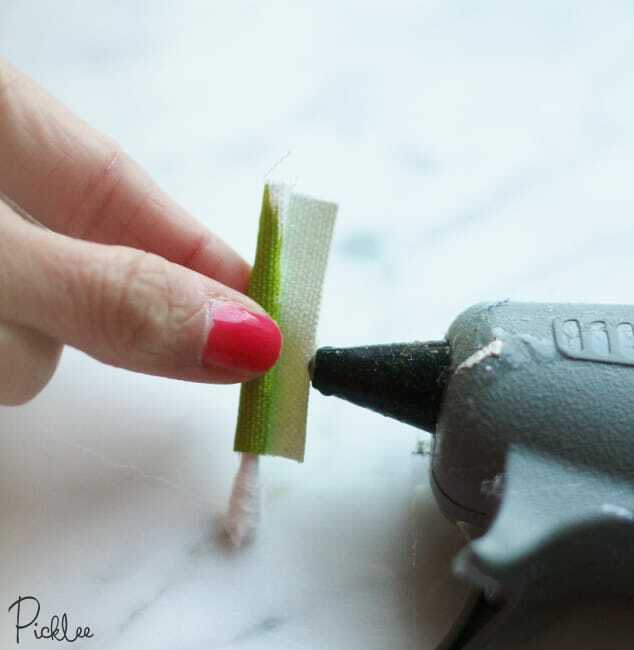 Start by cutting one side of the tips off two Q-tips. 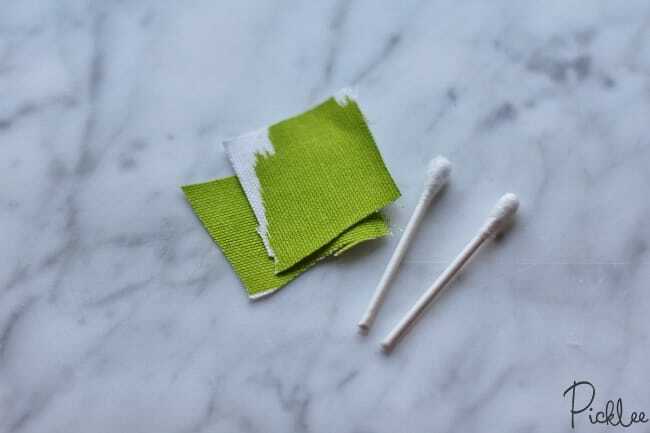 Next, cut two small pieces of left over fabric, just large enough to wrap two times around each Q-tip. Now it’s time to secure the antlers and shell to your snail! 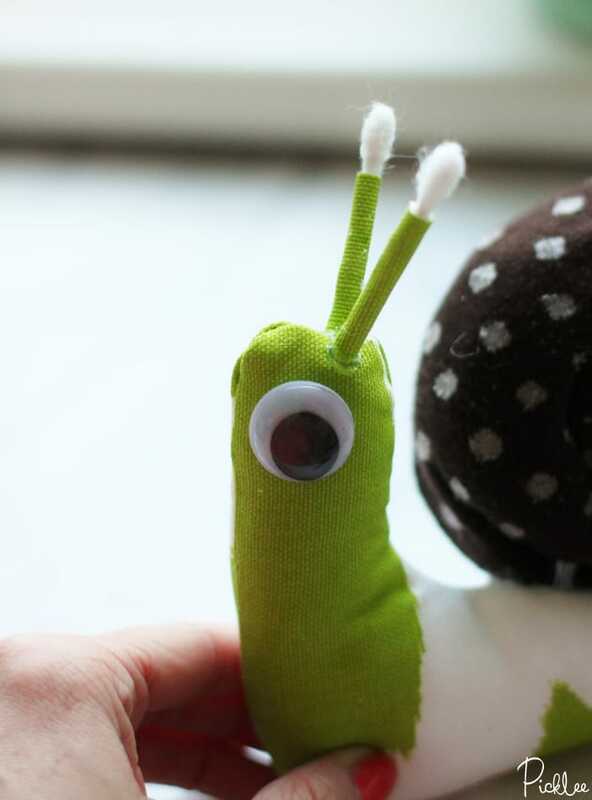 Use your hot glue to attach the antlers to the top of your snail’s head. 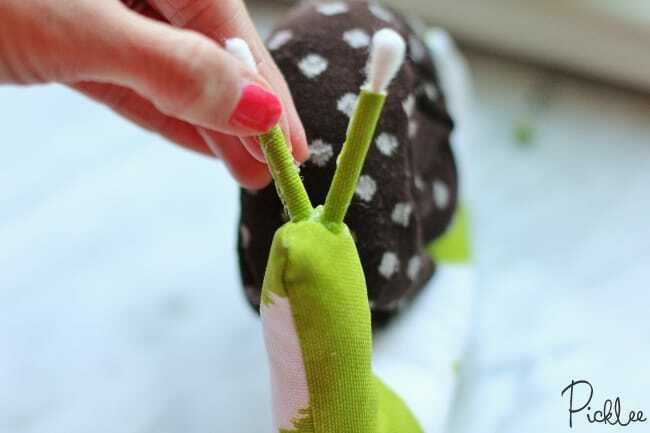 Then add a strip of hot glue to your snail’s sock “shell” and attach it to the fabric body! Lastly, attach the snail’s eyes with a dab of hot glue! There you have it! 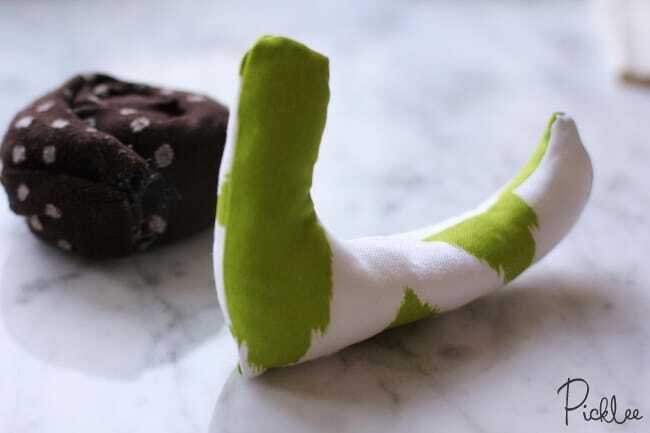 Your DIY Upcycled Sock Snail! 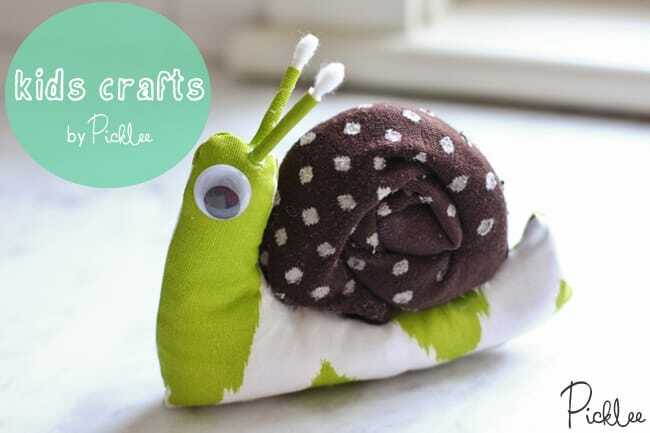 The DIY Snail Stuffy is a part of our kids crafts series! Thank you the snail is so cute and fun to make. Thank you for the adorable tutorial. My daughter and I made one today and filled the body with resin pellets so he stands up a bit better. So cute and fun! Can’t wait to make,these,with my grandchildren.